As noted in my previous column, AEI’s James Pethokoukis and National Review‘s Ramesh Ponnuru — among many others — appear to have fallen victim to what I have called the “Eichengreen Fallacy.” This refers to the demonstrably incorrect proposition that the gold standard caused the Great Depression. Pethokoukis proves exactly right in observing that “Benko is a gold-standard advocate and apparently doesn’t much like the words ‘Hitler’ or ‘Nazi’ to be in the same area code of any discussion of once again linking the dollar to the shiny yellow metal.” “Doesn’t much like” being falsely linked with Hitler? Perhaps an apology is more in order than an apologia. My objecting to a demonstrably false implication of the (true) gold standard in the rise of Nazism does not constitute a display of ill will but rather righteous indignation. To give Pethokoukis due credit he thereupon generously devoted an AEIdea blog to reciting Peter Thiel’s praise for the gold standard, praise which triggered a hysterical reaction from the Washington Post‘s Matt O’Brien. The predicament — caused by the gold-exchange standard adopted in Genoa in 1922 — required a revaluation of the dollar to $35/oz, duly if eccentrically performed by FDR under the direction of commodities price expert economist George Warren. That revaluation led to a dramatic and rapid lifting of the Great Depression. Thereafter, as Calomiris, et. 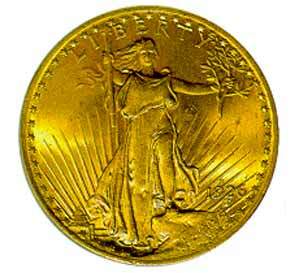 al, observe in a publication by the Federal Reserve Bank of St. Louis, the Treasury sterilized gold inflows. That sterilization, together with tax hikes, most likely played a major role in leading to the double dip back into Depression.